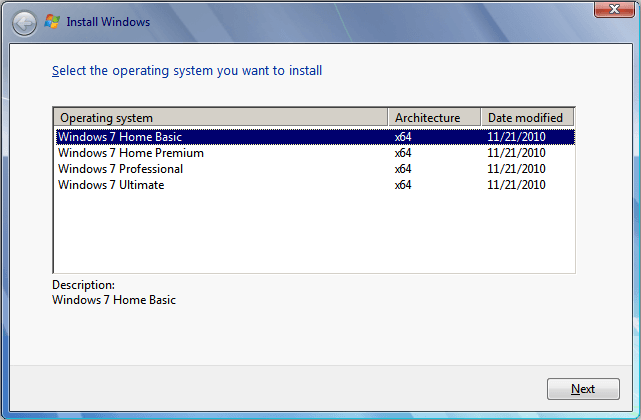 This is the first of a set of small articles on modification and use of Windows 7 install media: multi-version, UEFI boot, driver injection, and downgrade activation. This has been discussed extensively elsewhere, but I’m gathering it all here to document my recent experience – and maybe help a few others. The articles will focus on flash media. It’s almost certain that a computer that needs any of these mods will be able to boot a flash drive – and may not even have an optical drive. 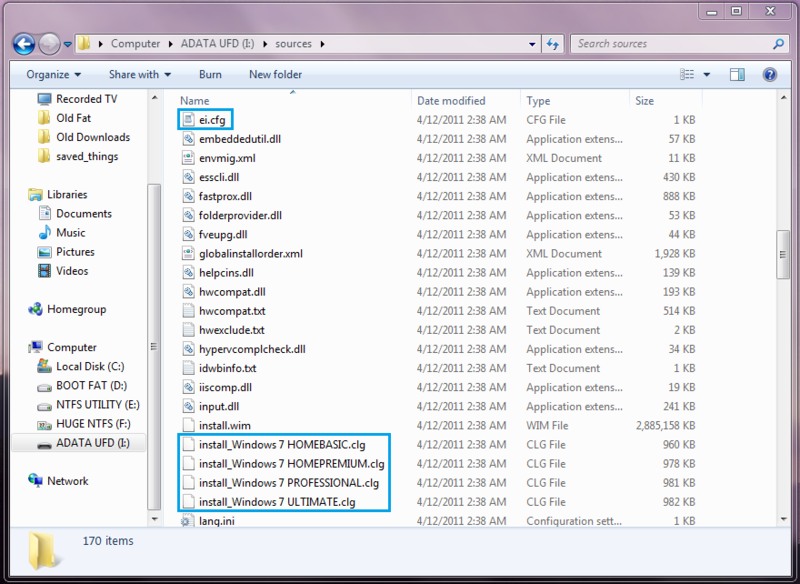 The image below is a screen shot of a Window 7 SP1 Pro 64-bit ISO extracted to a flash drive by the 7zip archiving tool. The folders and files will look the same if copied from a DVD. If you examine the sources folder, it looks like all four versions are there, but something restricts the media to a single version at install time. 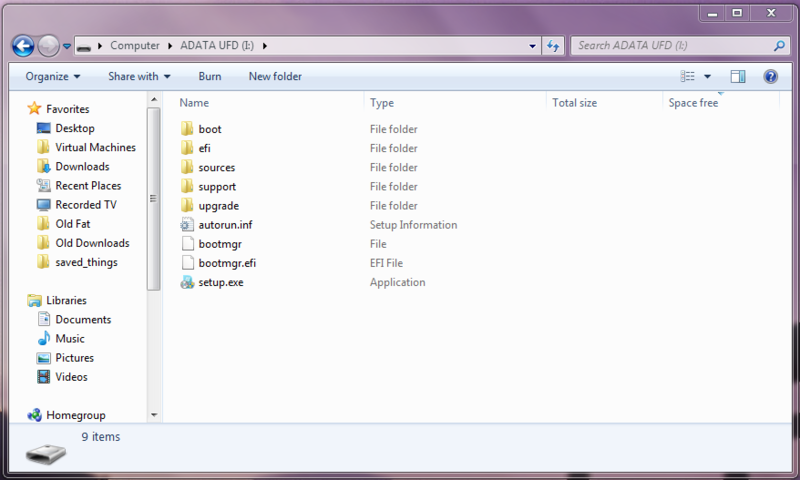 Turns out that something is the ei.cfg file in the sources folder. See the image below. So, copy the contents of the DVD to a flash drive or temporary workspace – or use 7zip to extract the contents of an ISO to same – and rename ei.cfg. Hey presto! an all version installer – or at least the files for one. Note: the 64-bit installer contains the above options once ei.cfg is modified. The 32-bit version also includes Windows 7 Starter. How to format the flash drive (or in the complicated case remake a DVD) is beyond the scope of this particular little article. Flash drive prep is covered elsewhere on this blog: A FOB STORY: Preparing the flash drive (TLDR: a single FAT-32 formatted partition, active flag not set.) Either do that in advance of making the mods if working directly on the flash drive, or copy the workspace files to the prepared flash drive after making the mod.